Face your fears! 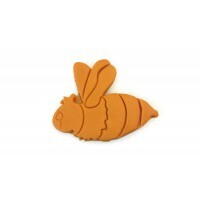 Use our insect shaped custom cookie cutters to make some truly horrifying, yet majestic and delicious cookies. Great for any occasion, especially birthday parties for all those children who can't get enough of the creepy crawlies. 3D Printed Bee Cookie Cutter 3 1/2" x 3"